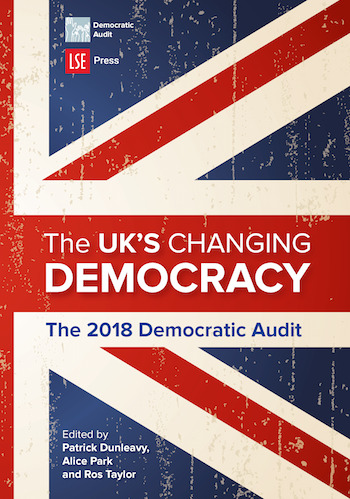 The UK’s Changing Democracy presents a uniquely democratic perspective on all aspects of UK politics, at the centre in Westminster and Whitehall, and in all the devolved nations. The 2016 referendum vote to leave the EU marked a turning point in the UK’s political system. In the previous two decades, the country had undergone a series of democratic reforms, during which it seemed to evolve into a more typical European liberal democracy. Brexit may now bring some of these developments to a juddering halt. The UK’s previous ‘exceptionalism’ from European patterns looks certain to continue indefinitely. ‘Taking back control’ of regulations, trade, immigration and much more is the biggest change in UK governance for half a century. It has already produced enduring crises for the party system, Parliament and the core executive, with uniquely contested governance over critical issues, and a rapidly changing political landscape. Other recent trends are no less fast-moving, such as the revival of two-party dominance in England, the re-creation of some mass membership parties and the disruptive challenges of social media. In this context, an in-depth assessment of the quality of the UK’s democracy is essential. Each of the 2018 Democratic Audit’s 37 short chapters starts with clear criteria for what democracy requires in that part of the nation’s political life and outlines key recent developments before a SWOT analysis (of strengths, weaknesses, opportunities and threats) crystallises the current situation. A small number of core issues are then explored in more depth. Set against the global rise of debased semi-democracies, the book’s approach returns our focus firmly to the big issues around the quality and sustainability of the UK’s liberal democracy.